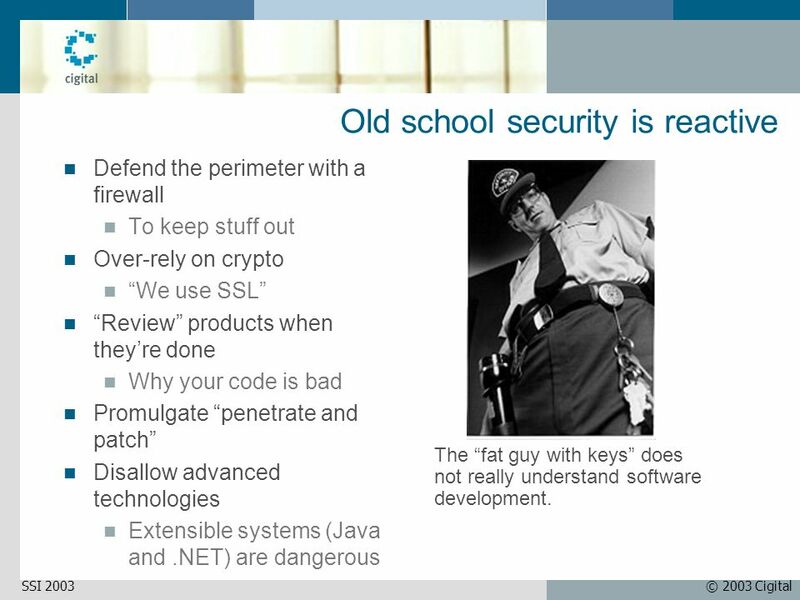 2 © 2003 CigitalSSI 2003 Old school security is reactive Defend the perimeter with a firewall To keep stuff out Over-rely on crypto We use SSL Review products when theyre done Why your code is bad Promulgate penetrate and patch Disallow advanced technologies Extensible systems (Java and.NET) are dangerous The fat guy with keys does not really understand software development. 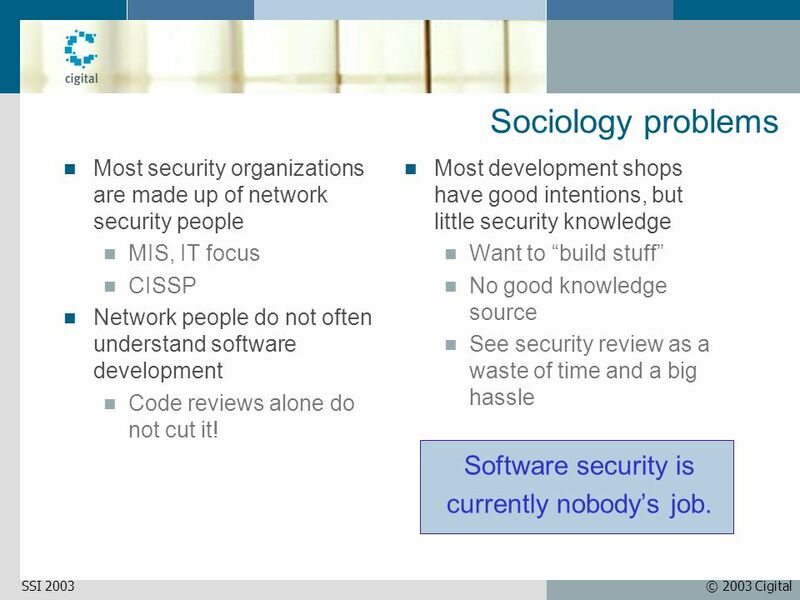 6 © 2003 CigitalSSI 2003 Sociology problems Most security organizations are made up of network security people MIS, IT focus CISSP Network people do not often understand software development Code reviews alone do not cut it! 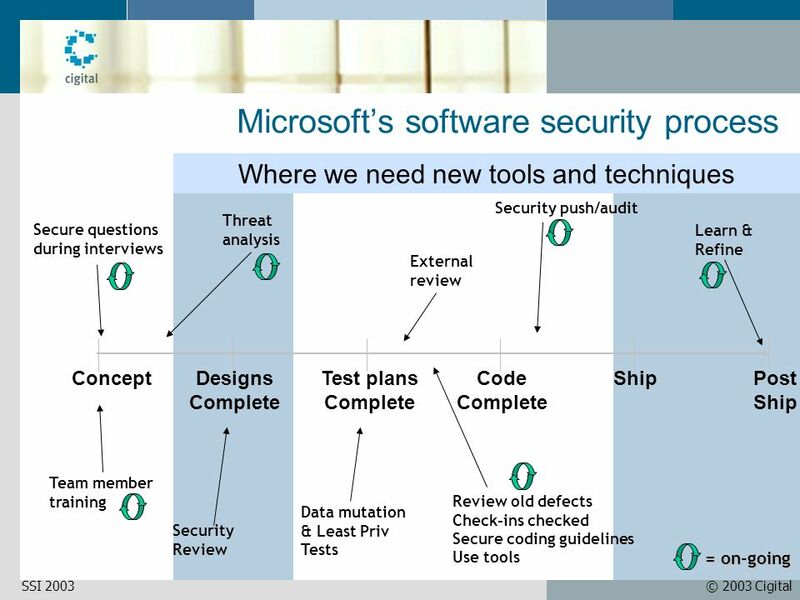 Most development shops have good intentions, but little security knowledge Want to build stuff No good knowledge source See security review as a waste of time and a big hassle Software security is currently nobodys job. 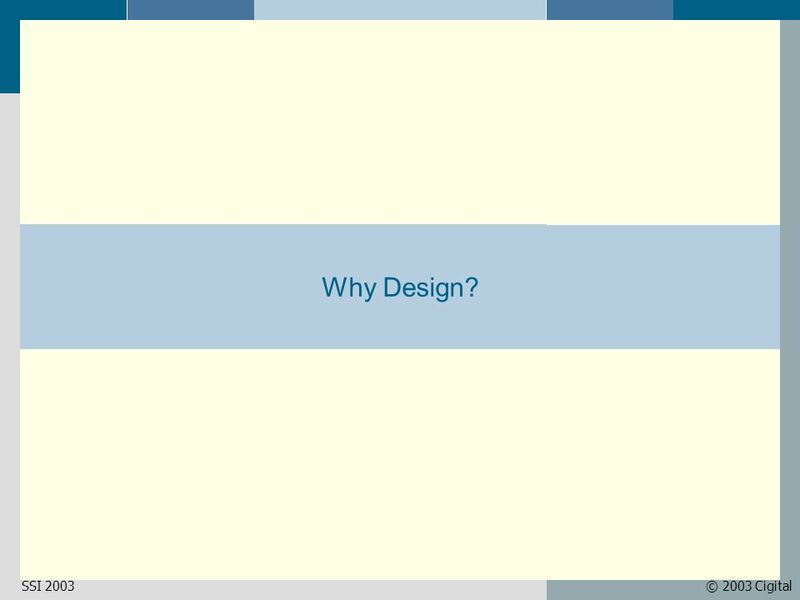 16 © 2003 CigitalSSI 2003 Why Design? 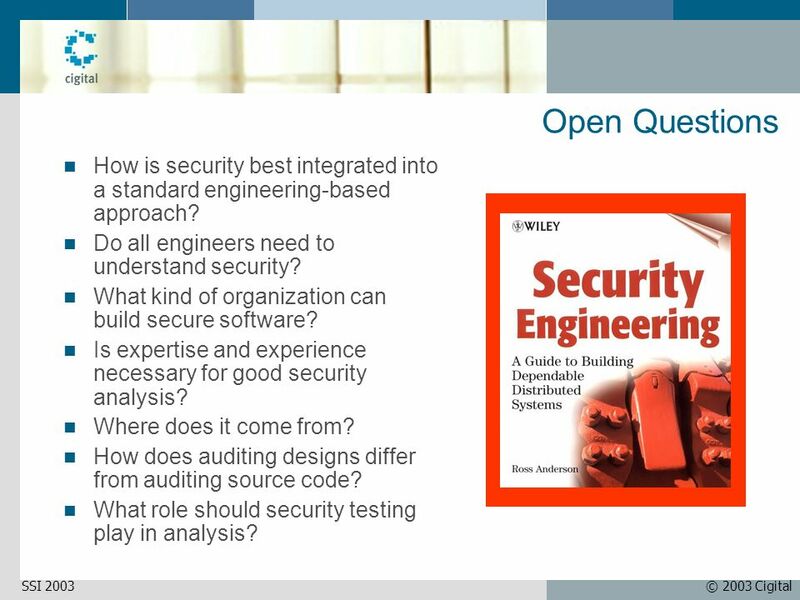 24 © 2003 CigitalSSI 2003 Open Questions How is security best integrated into a standard engineering-based approach? 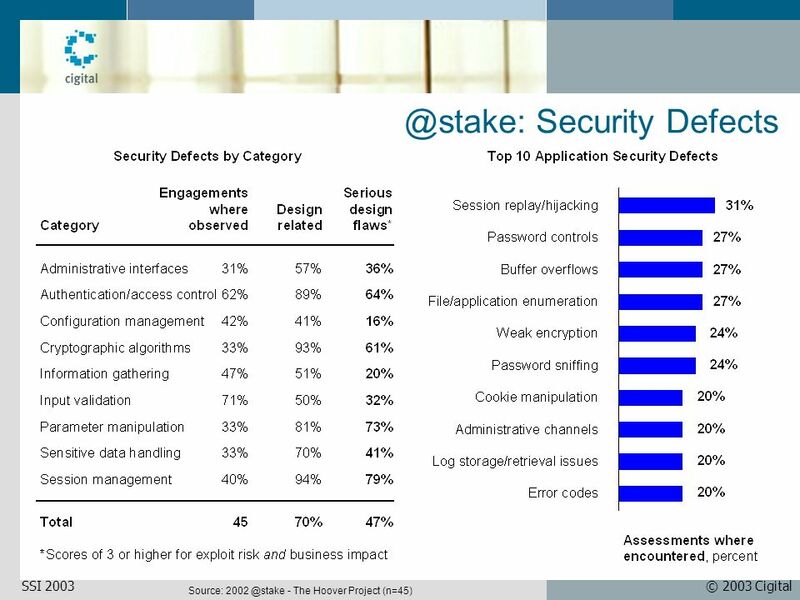 Do all engineers need to understand security? 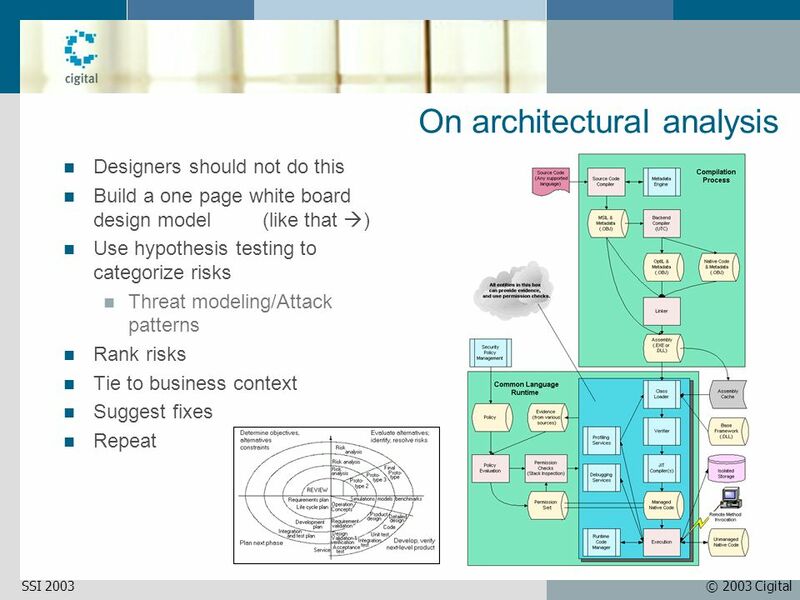 What kind of organization can build secure software? 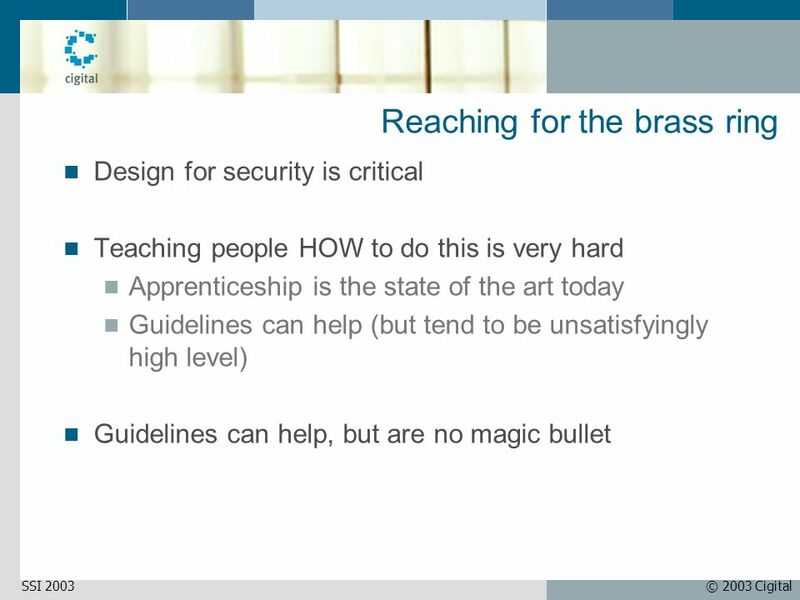 Is expertise and experience necessary for good security analysis? Where does it come from? 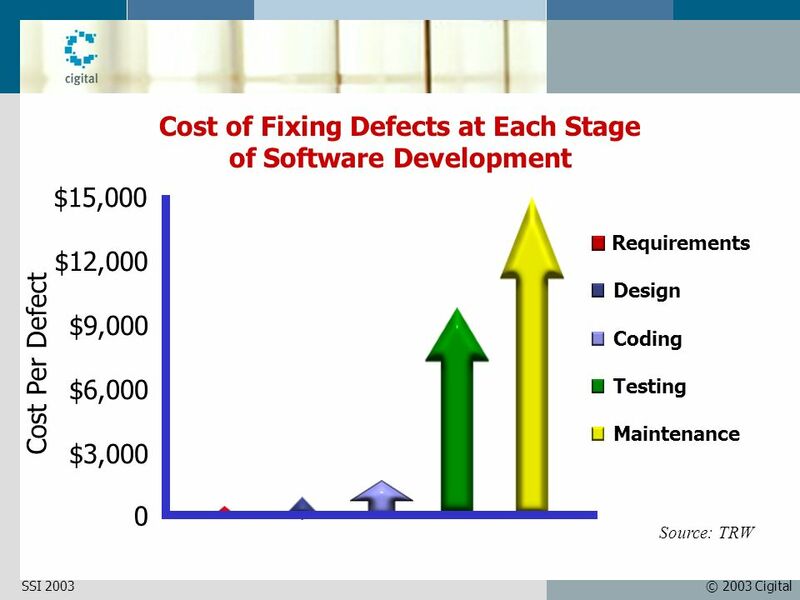 How does auditing designs differ from auditing source code? 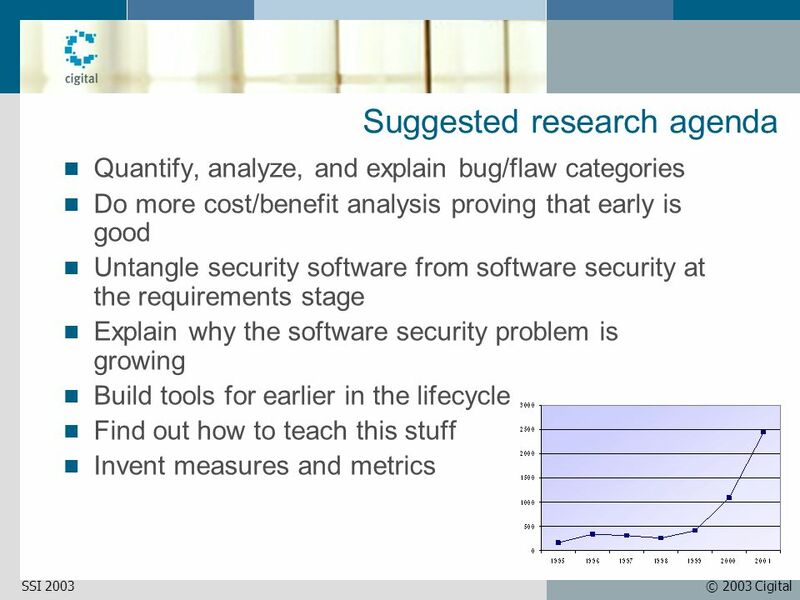 What role should security testing play in analysis? 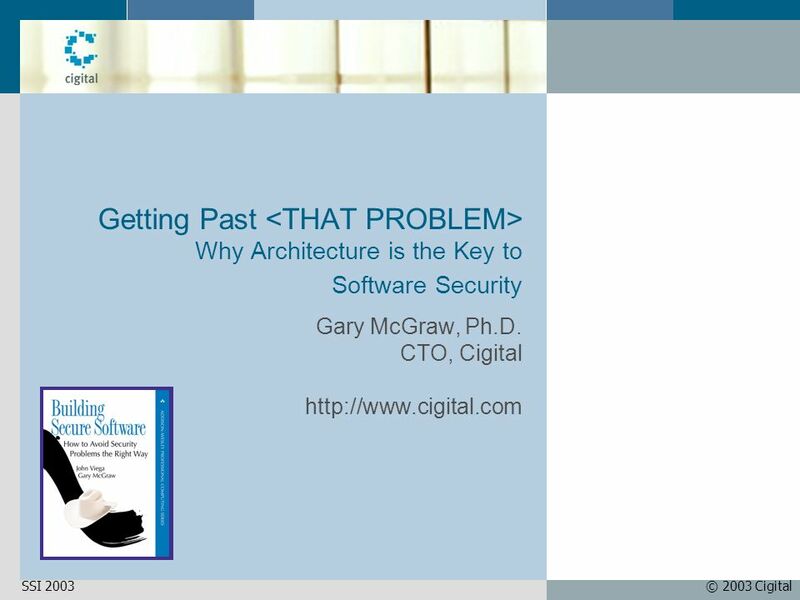 Download ppt "© 2003 CigitalSSI 2003 Getting Past Why Architecture is the Key to Software Security Gary McGraw, Ph.D. CTO, Cigital"
Vulnerability Analysis. 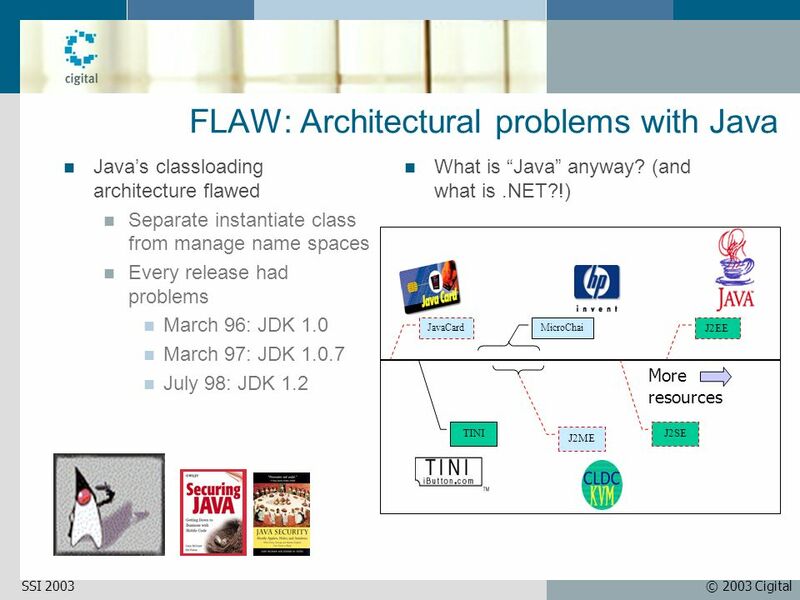 Formal verification Formally (mathematically) prove certain characteristics Proves the absence of flaws in a program or design. 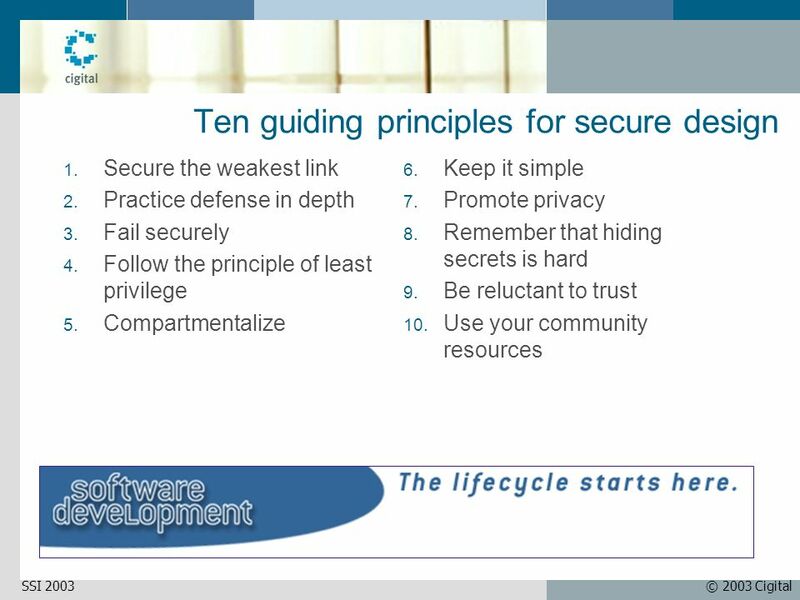 VM: Chapter 5 Guiding Principles for Software Security. Secure Design Principles  secure the weakest link  reduce the attack surface  practice defense in depth  minimize privilege  compartmentalize  fail. August 1, 2006 Software Security. 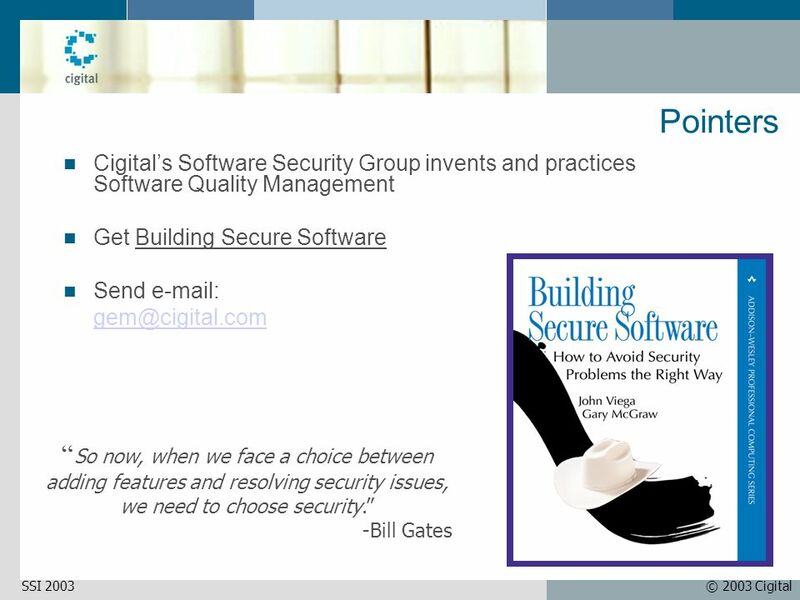 August 1, 2006 Essential Facts Software Security != Security Features –Cryptography will not make you secure. –Application. 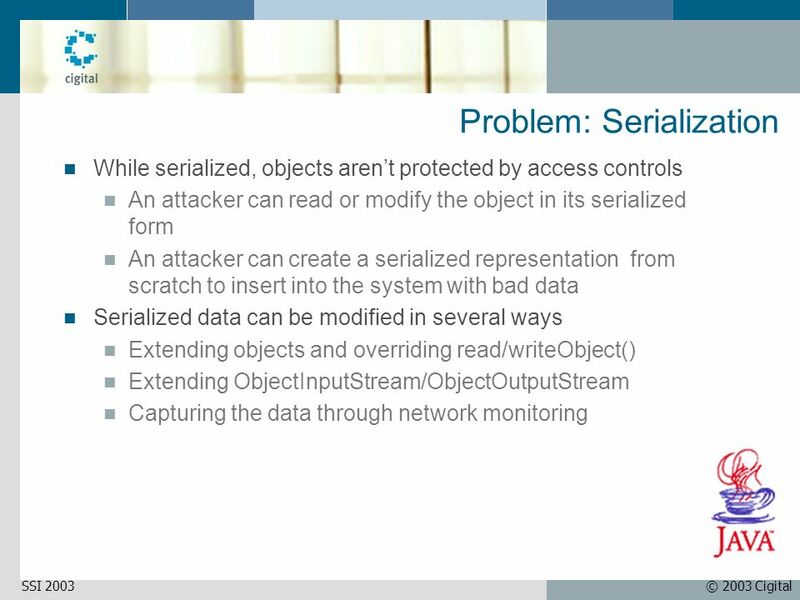 CSI 400/500 Operating Systems Spring 2009 Lecture #20 – Security Measures Wednesday, April 29 th. CMSC 414 Computer and Network Security Lecture 9 Jonathan Katz. 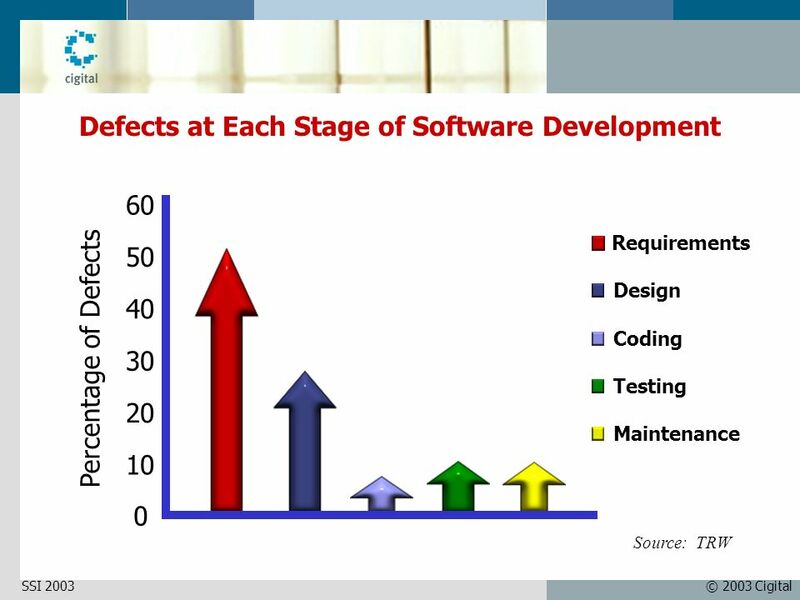 SOFTWARE SECURITY TESTING IS IMPORTANT, DIFFERENT AND DIFFICULT Review by Rayna Burgess 4/21/2011. Applied Software Project Management 1 Introduction Dr. Mengxia Zhu Computer Science Department Southern Illinois University Carbondale. 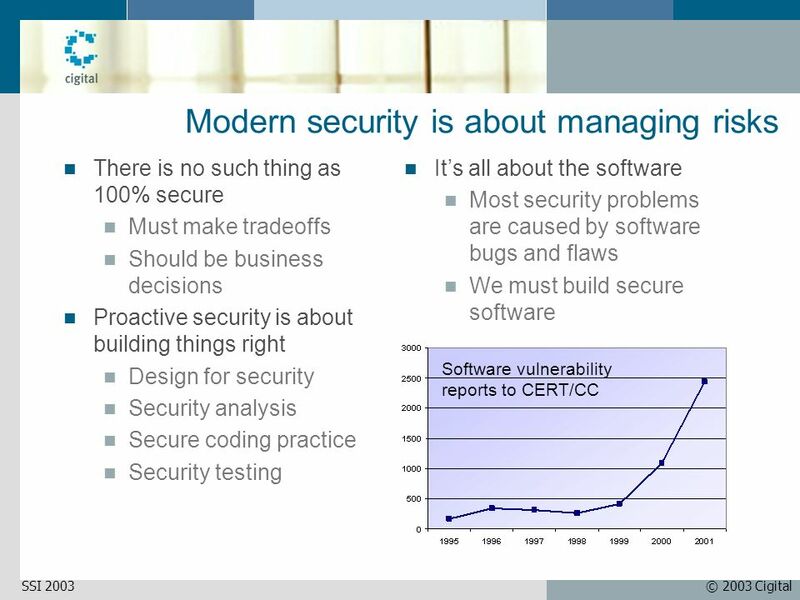 Software Security Course Course Outline Course Overview Introduction to Software Security Common Attacks and Vulnerabilities Overview of Security. Vulnerabilities. 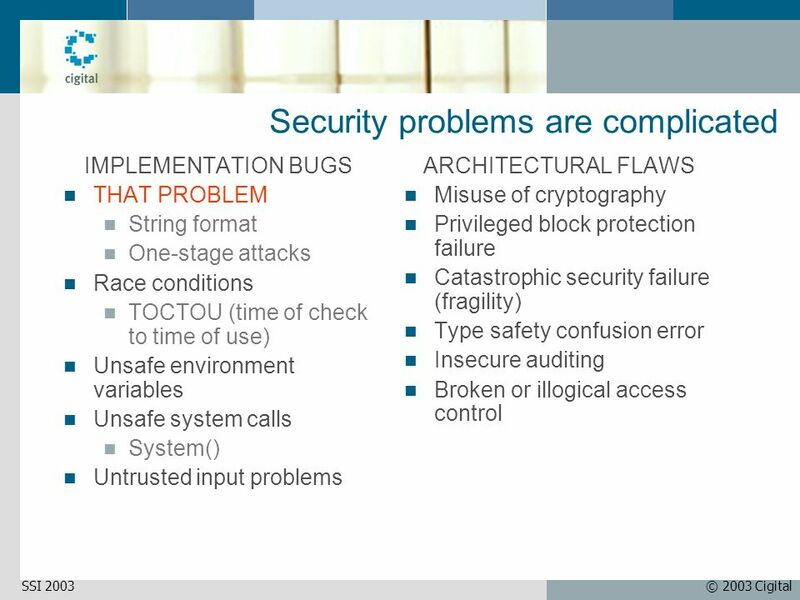 flaws in systems that allow them to be exploited provide means for attackers to compromise hosts, servers and networks. 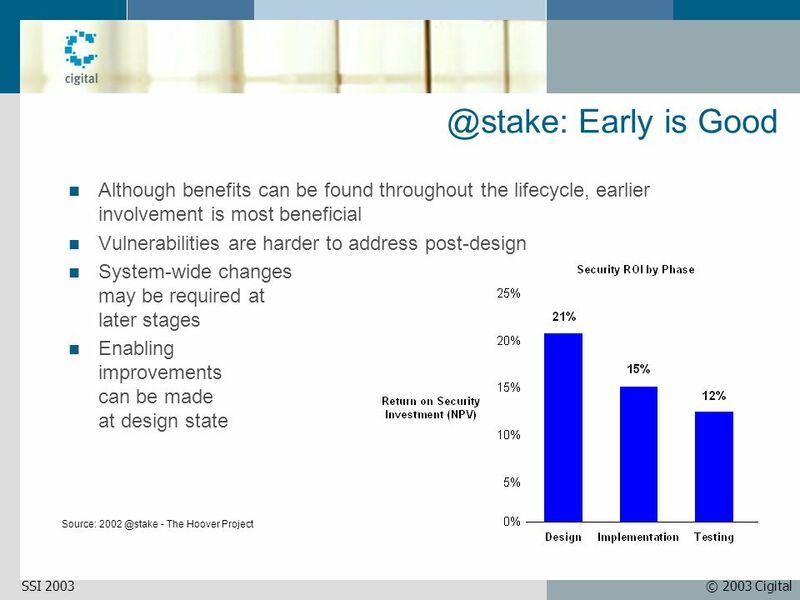 1 Infrastructure Hardening. 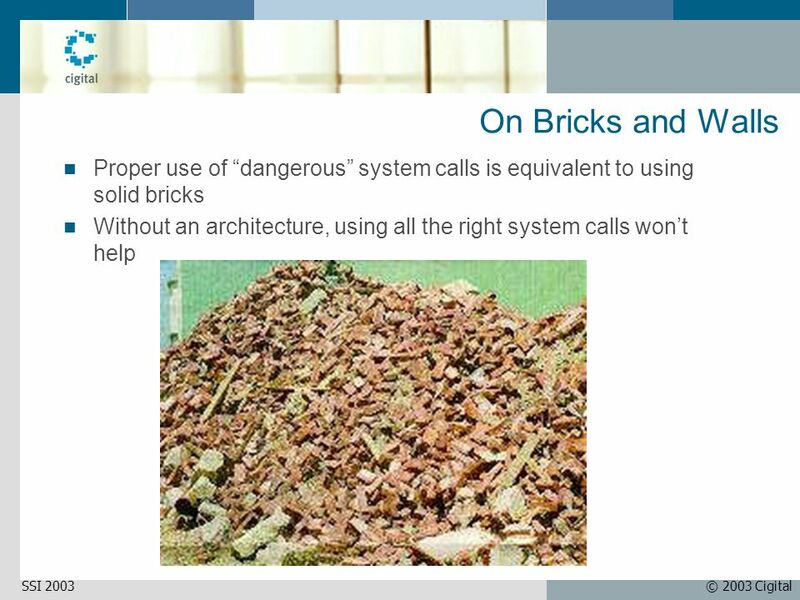 2 Objectives Why hardening infrastructure is important? 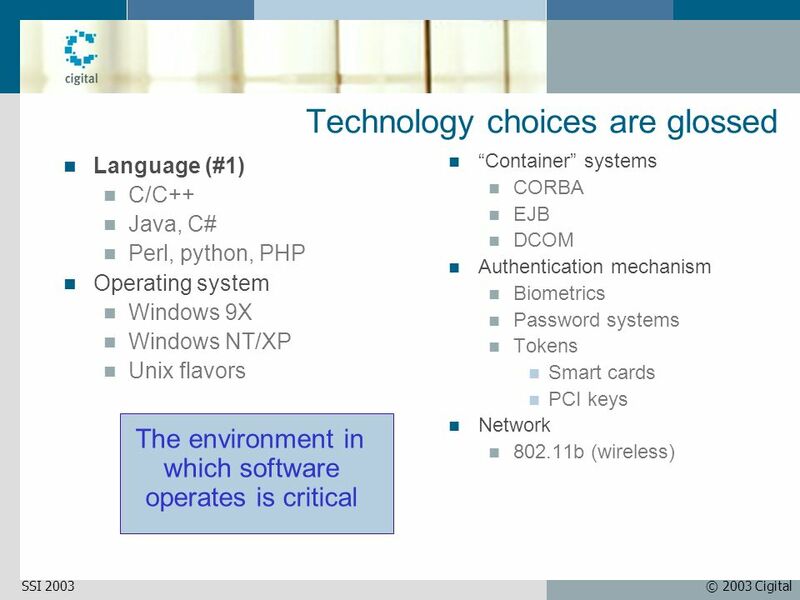 Hardening Operating Systems, Network and Applications. 1 Vulnerability Assessment of Grid Software James A. Kupsch Computer Sciences Department University of Wisconsin Condor Week 2007 May 2, 2007.